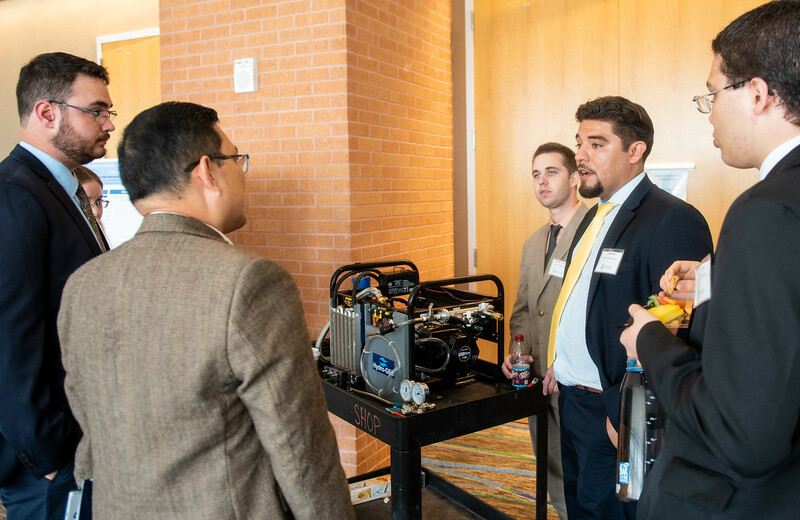 CORPUS CHRISTI, Texas – The rapidly expanding field of engineering calls for highly qualified and experienced professionals. 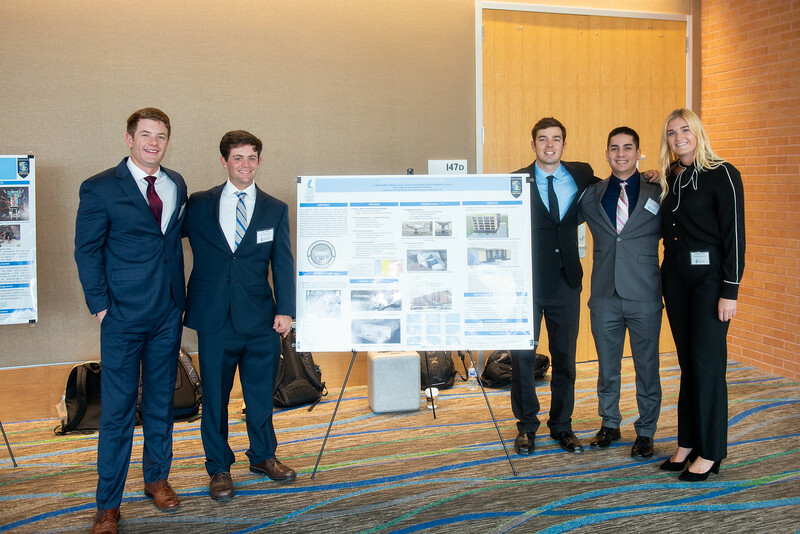 Texas A&M University-Corpus Christi meets this growing need with an accredited engineering program that continues to produce skilled students ready for a career in engineering. 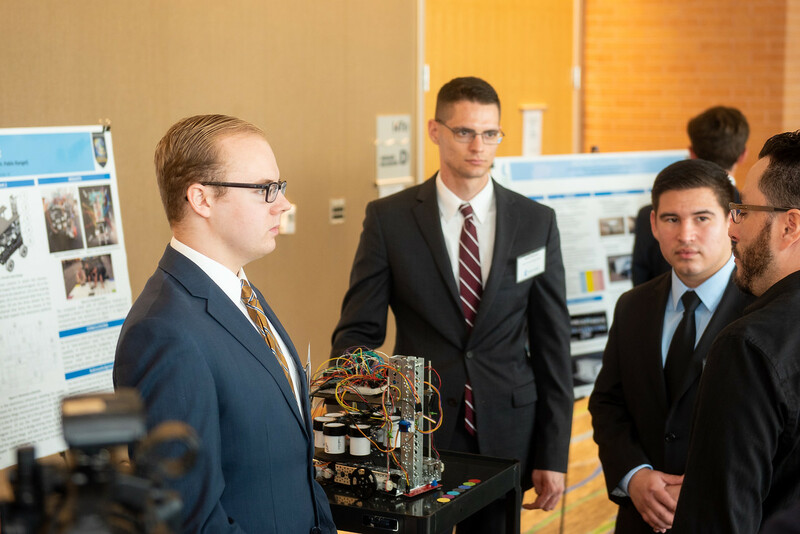 In a display of their proficiency, 42 graduating seniors showcased their engineering expertise during live demonstrations and presentations of their capstone projects on May 4. 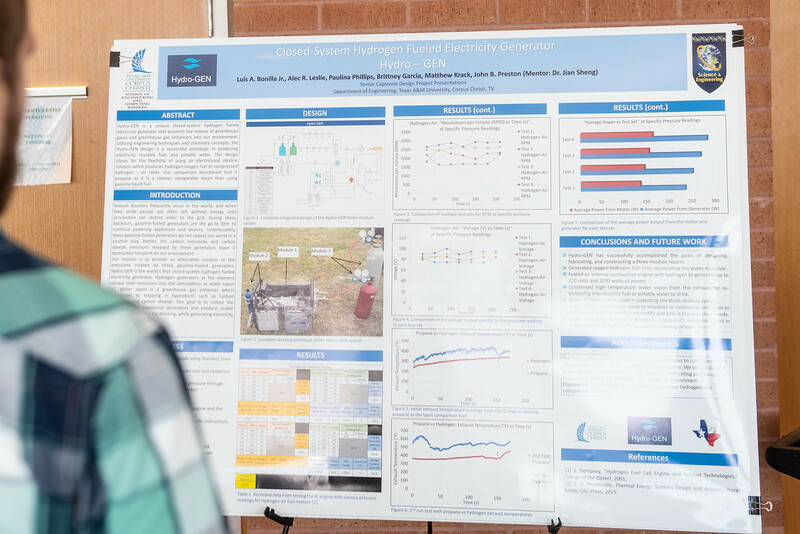 The engineering capstone consists of two different courses in which students are grouped into teams to complete a project. 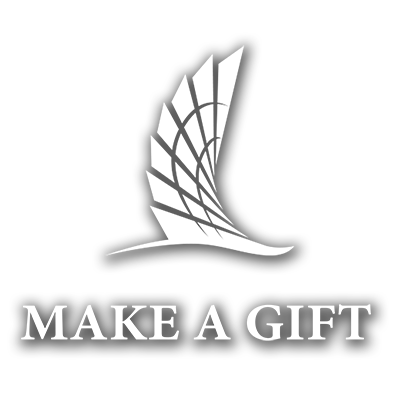 During the first course, students work with their faculty mentors or experts in the field to create a plan and finalize their project’s design using computer assisted design tools. 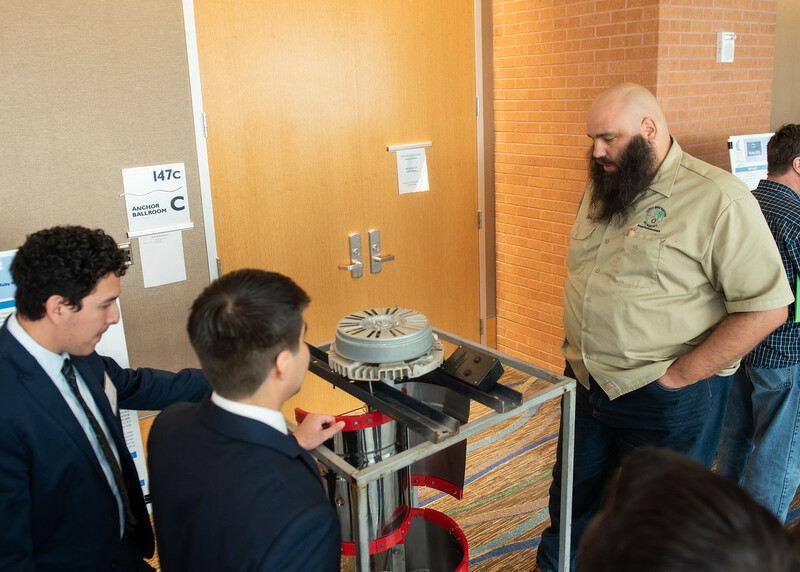 During the second course, the students develop a business plan and patent application for their design and work on implementation, which includes construction, testing and improvements of their prototypes. 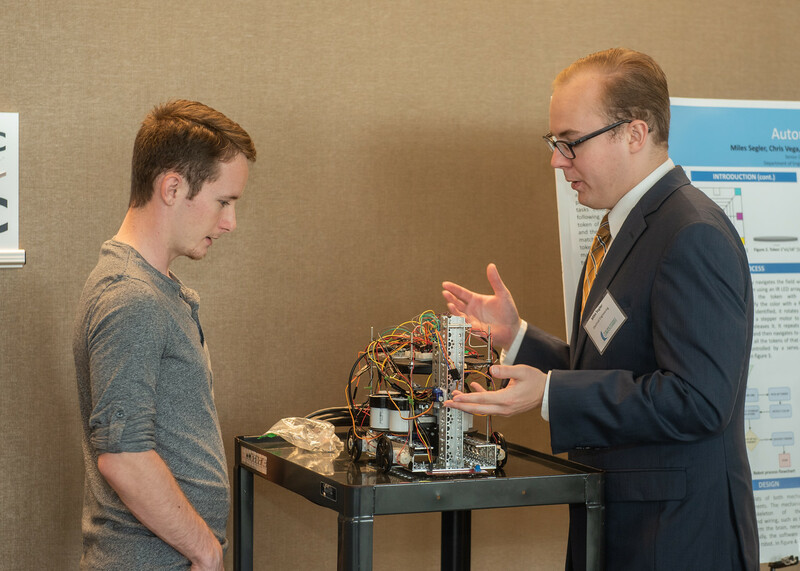 During their presentations, students were judged by local industry professionals, giving them the opportunity to network. 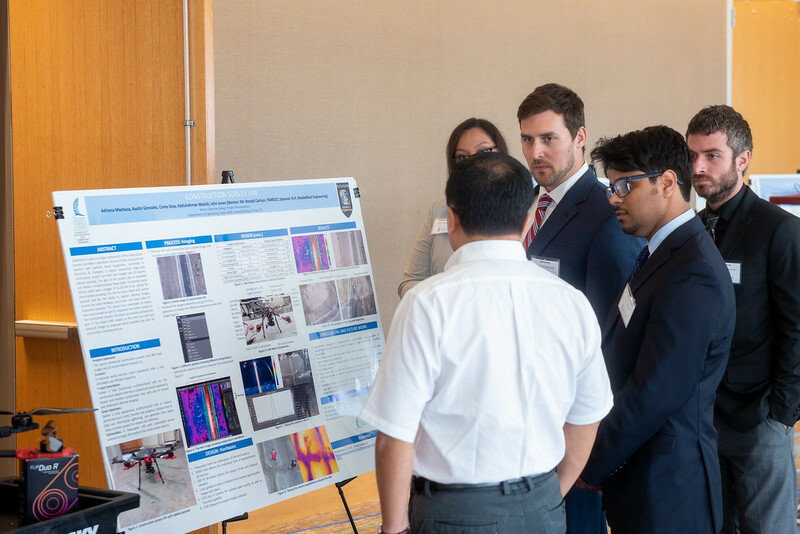 Engineering faculty and technical staff were also invited to offer feedback. 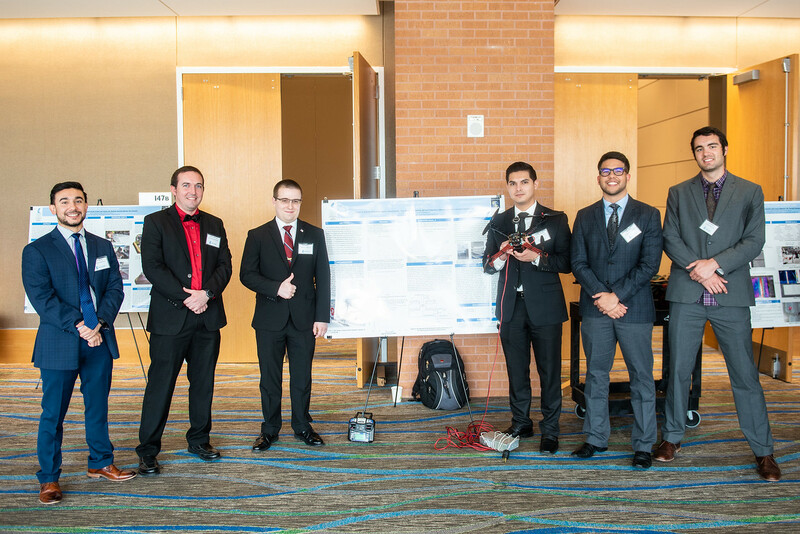 Christian Alcorta, Juan Amat, Kale Dabney, Stevan Davila, Richard Ingolia and Paul Lichtenhan presented “Tethered Electric UAV,” a fully functional tethered electric unmanned aerial vehicle (UAV) with superior flight duration. 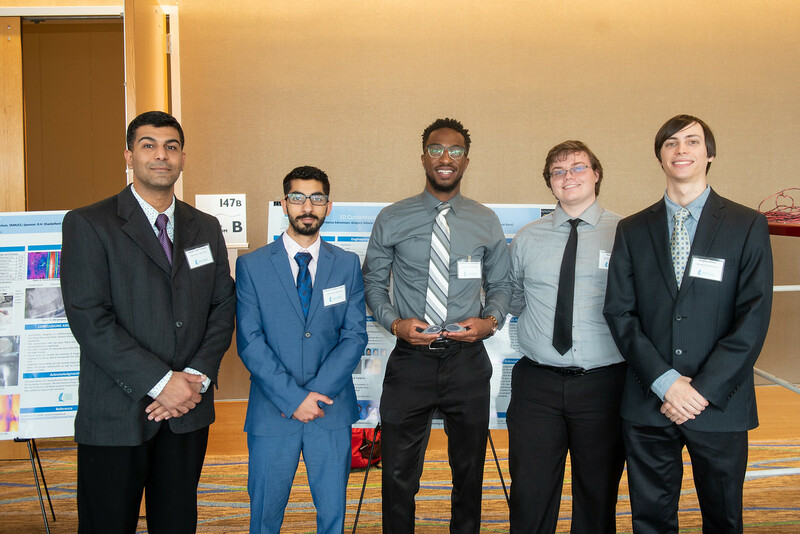 Haytham Almoosa, Cordarius Edmondson, Sassan Falahati, Gregory Salazar and Kyle Rylance presented “3D Customized Swimming Goggles Created from 3D Facial Scan,” a fully developed protocol for building unique swimming goggles to fit a wearer’s face. 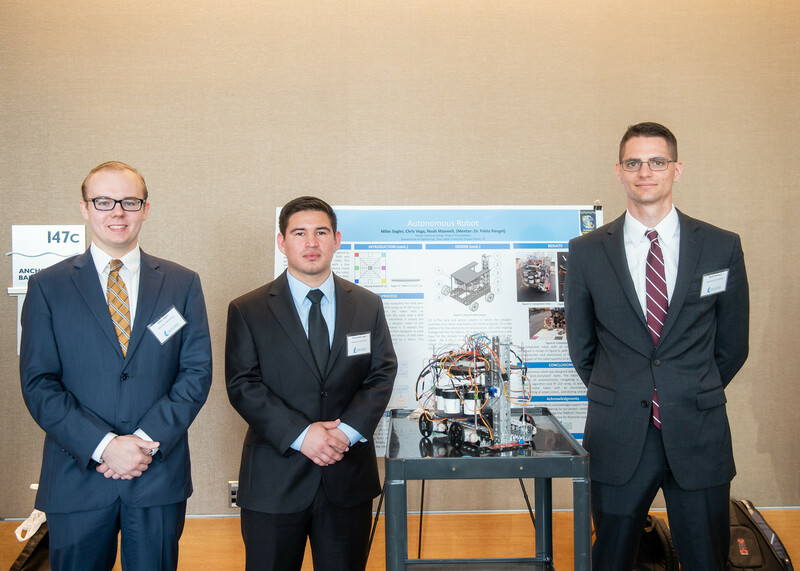 Scott Balfantz, Morgan Carlson, Abraham “AJ” Flores, Tanner Geiser and Jerry Shea presented “UAS Disaster Preparation Method,” which utilized UAV to take landscape images to create a virtual environment capable of exhibiting the effects of hurricanes and flooding. 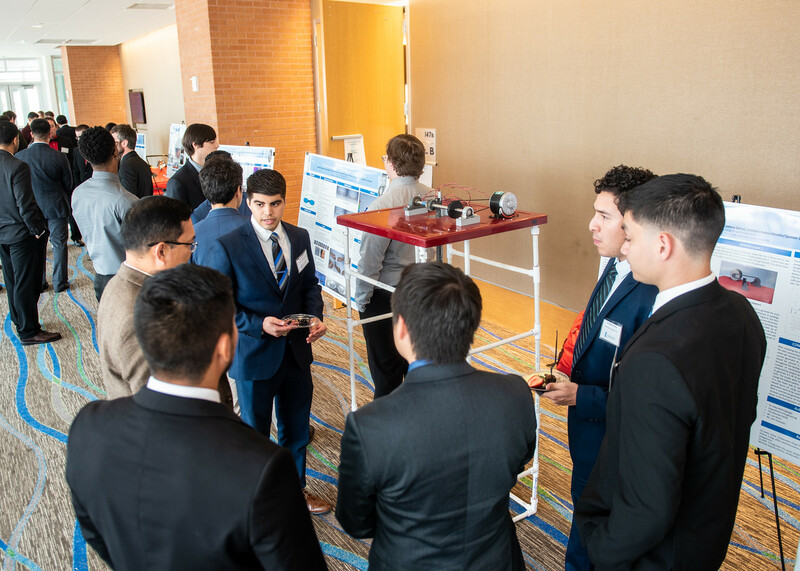 Jonathan Bernal, Cristobal Franco, Pedro Galvan, Michael Garcia, Michael Maceda and Richard Zamora presented “Aqua-GEN: Ocean Energy Harvesting System,” a generator capable of creating energy from the waves and currents of the ocean. 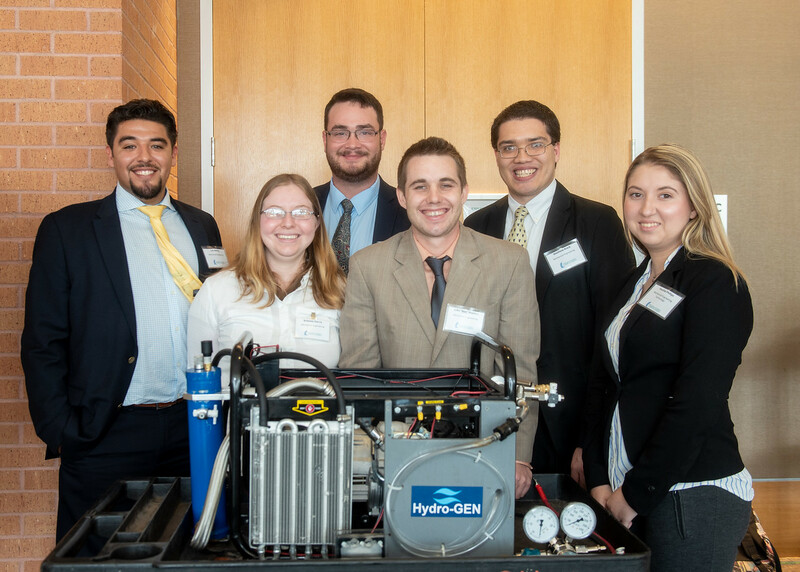 Luis Bonilla, Brittany Garcia, Matthew Krack, Alec Leslie, Paulina Phillips and John “Ben” Preston presented “Hydro-GEN: Closed System Oxy-Hydro Generator,” a closed-system oxy-hydro generator with three modules capable of generating up to 120 volts of electricity. 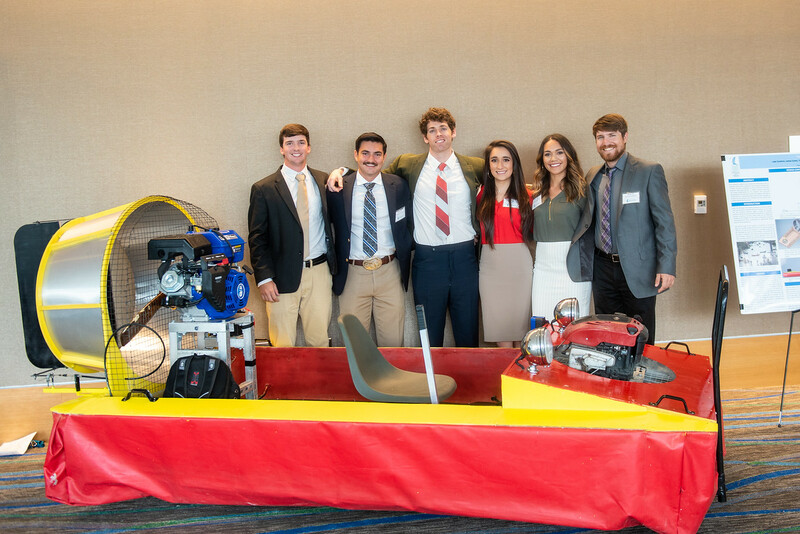 Luke Condron, James Euton, Tyanna Gold, Austin Leal, Dante Leal and Brittney Sauceda presented “First Response Hovercraft,” a hovercraft suitable for first response transport on multiple terrain environments. 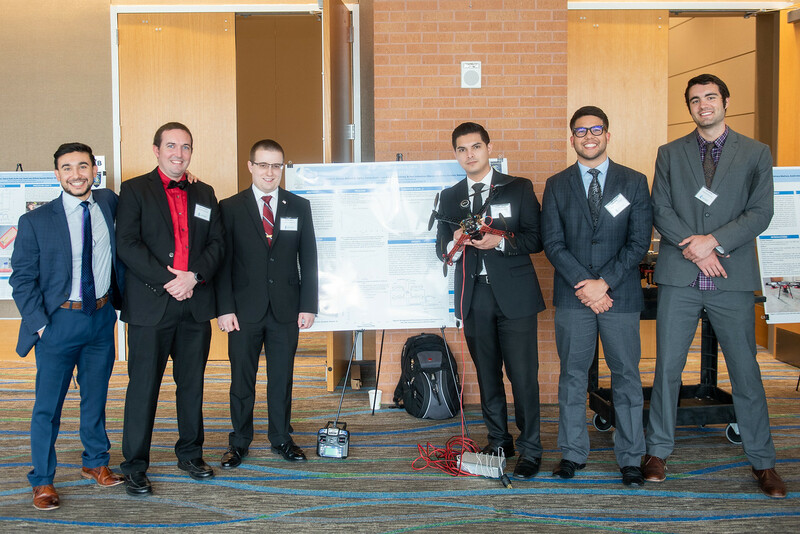 Austin Gonzalez, Corey Gray, John Jones, Adriana Machuca, and Abdulrahman Washili presented “Construction Survey UAV,” a UAV fitted with custom time lapse video covering visible and thermal range to be utilized for construction surveying. 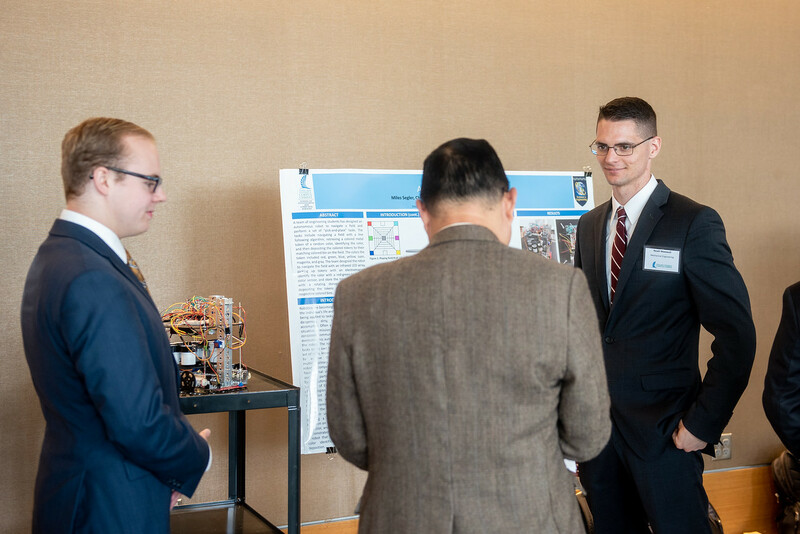 Noah Maxwell, Miles Segler and Christopher Vega presented “Autonomous Robot,” an autonomous robot capable of recognizing, picking up and sorting tokens based on their color. 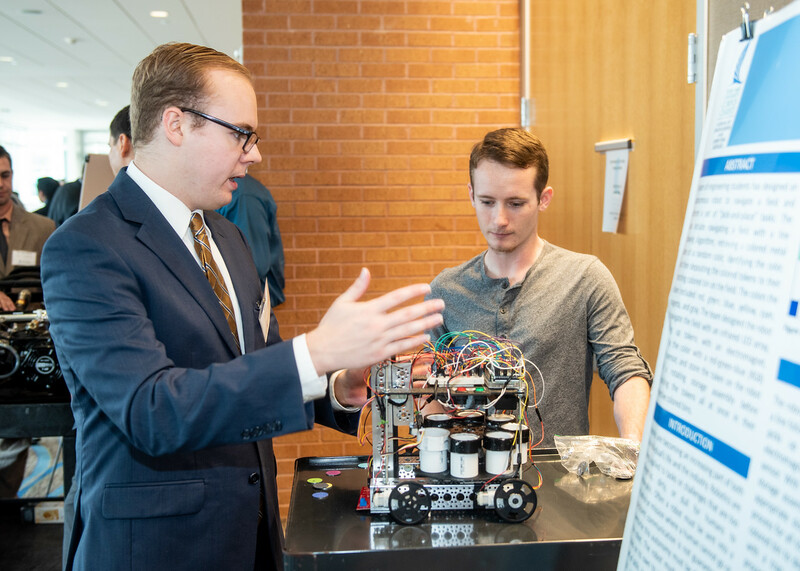 While both engineering programs are relatively new at the Island University, their growth remains explosive. 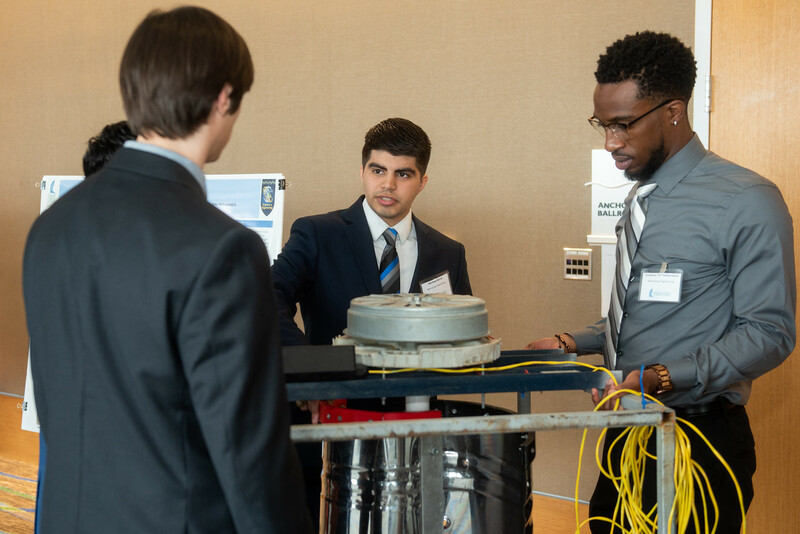 Mechanical Engineering was first offered in 2009 while the University began offering Electrical Engineering in 2015. 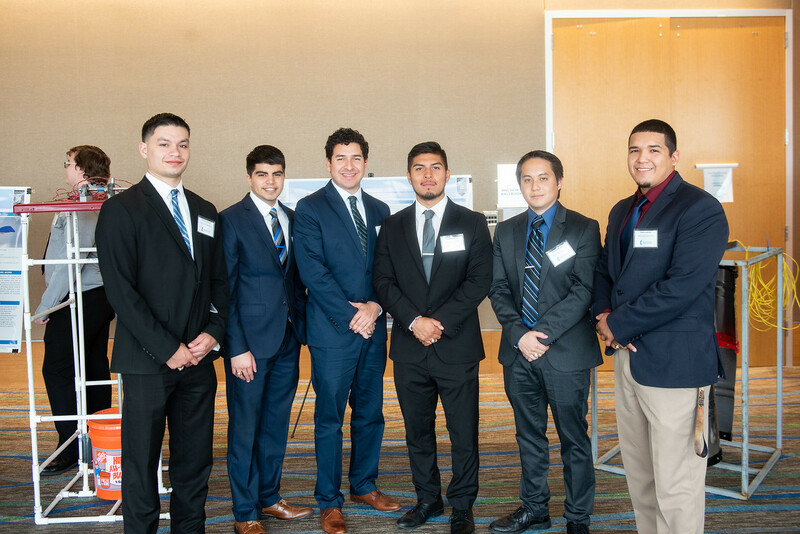 Since then, a total of 221 proud engineering students have graduated from A&M-Corpus Christi. According to Mehrubeoglu, this growth translates to an increasing scope in capstone projects each year.